Resume job objectives are simple to write once you have a few basic guidelines. These tips and samples will help you write a great objective statement. Objectives are straightforward statements of the type of work you are seeking. They provide focus to your resume and quickly supply employers with information about your career goals. That information allows employers to read and interpret your resume more quickly and intelligently than they could if there was no objective statement. Objectives are not fancy or complex, but they must match the position you are applying to, and they must be specific. Good objectives are clear, and they name a specific job. To obtain a position that will utilize my skills and experience. This type of general objective is just not effective. It adds no useful information to your resume, and it tells employers you are unfocused. People who write general objectives are usually not sure what type of work they want to do. They want to apply to many types of positions and avoid writing more than one resume, or they are afraid of being excluded from other opportunities in the company if they are too specific about their career goals. This general approach to writing an objective is a huge mistake. A general objective does not show employers that you are open to considering a variety of opportunities. Instead, it gives employers the impression that you are unfocused and not specifically interested in or qualified for the specific role that they are trying to fill. You make a much better impression on employers if you come across as a person who is focused and searching for a specific type of job. It is always best to target your entire resume, including your objective, to a specific job. If you're serious about doing a great job search, and you're looking for more than one type of job, there's no way around it, you'll need more than one resume. If an employer thinks youd be a great fit for a different position within the company, he or she will surely contact you to see if you are interested in interviewing for that position. 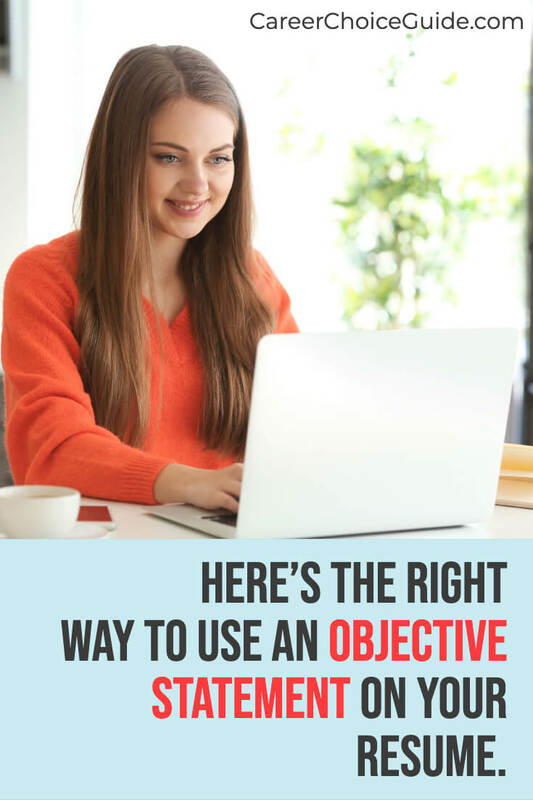 Writing an objective is very simple. Be specific, don't get fancy with your language, and state the type of work you are seeking. This information can help to show an employer that you are a good fit for the job. For example, if an employer was hiring a part time dental hygienist, one concern would be that they might invest a lot of time training a new employee, and then that person would leave as soon as he or she found a full time job, so the employer would be very motivated to hire someone who wants part time work. If you are applying to part time jobs, and you are looking for part time work, noting that fact on your objective helps to show you are a good fit for the job. Certain jobs like retail sales, customer service representatives, or administrative assistants cross variety of industries. If the industry that interests you, or fits well with your experience matches the job you are applying to, mentioning that fact on your objective can quickly communicate that "fit" to the employer. Normally you'd only use an objective if you were looking for an entry level position. Profiles are a better fit for people with more experience. So if you are looking for an entry level job, feel free to mention that on your objective if you like. 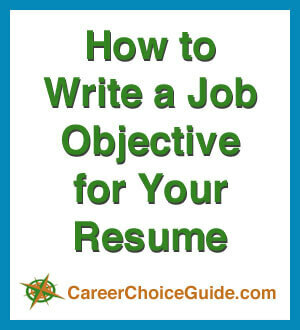 Don't get bogged down when writing resume job objectives. They are simple to write, and they provide the focus for everything else on your resume.